The Australian Competition and Consumer Commission has issued an Australia-wide recall notice for Kawasaki Mule Pro-MX 700cc side-by-side vehicles purchased between 1 July 2018 and 24 January 2019. The ACCC recall notice says a defect is under investigation and presents a possible fire risk. “It is possible the cooling hose can detach from the engine causing oil to spray on the engine. This could result in an engine fire and a risk of serious injury to the driver and surroundings in the event of an accident,” the notice says. 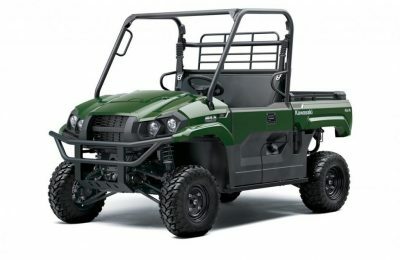 Kawasaki Motors Pty Ltd is notifying all affected owners by direct letter or email and recommends that the vehicles not be operated until a solution is confirmed. When a permanent solution is confirmed, Kawasaki Motors Pty will contact all affected owners by direct letter or email to advise of required action. I have this model and not only the recall but now the carter motor is gone after just 6 month and 90 hours. Parts not in Australia and still waiting for parts after 3 weeks. I wish I had stayed with my Gator 20 years old and was still going.